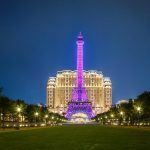 A wave of rubella — more commonly known as German measles — has afflicted 12 hotel employees in Macau, as workers demand protection from the communicable virus. The dozen employees were diagnosed during the first two weeks of April, with their numbers evenly divided between City of Dreams and StarWorld Hotel. It was not immediately known if they’d received vaccinations, given that some recently moved to the island from mainland China. There is no specific treatment for rubella but the disease is preventable by vaccination,” according to the World Health Organization (WHO). Altogether, 19 Macau residents have been diagnosed with rubella this year, most of them in April. The illness can be transmitted by airborne droplets caused when a patient sneezes or coughs. The most infectious period is usually one to five days after a rash appears. The carrier is infectious for seven days before the rash and for five to seven days after the eruption is visible. The Macau outbreak led the region’s health authority to test blood of pregnant women working at StarWorld. Pregnant women who get the illness, especially during the first trimester, can infect the fetus, which can lead to fetal death, miscarriage, or congenital conditions and abnormalities in the fetus, the WHO said. If a woman is infected early during her pregnancy, there is a 90 percent risk of passing it to the fetus, the WHO adds. 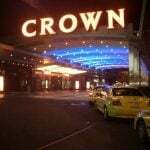 Health officials told the two impacted casinos to disinfect their workplaces. The virus can be killed by various cleaning agents, according to the Public Health Agency of Canada. The outbreak also led the New Macau Gaming Staff Rights Association to demand — in a letter sent to government officials on Tuesday — that casino operators provide employees disinfectant, let them wear protective masks and discourage employees from working if they are ill.
Employees on the gaming floor are especially at risk given the number of people with whom they have close contact, the association warns, GGRAsia reported. 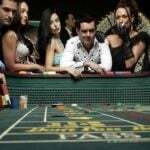 Most casinos in the region want larger crowds to visit, as they have focused on mass market patrons. Macau venues saw a 27 percent surge during February’s Chinese New Year festival where more than 1.2 million people traveled to the gaming hub. Many of the island’s casinos are trying to attract a higher number of upscale guests and high rollers, too, as they open suites in hotels. There are six gaming operators and 41 casinos on Macau, and several of these may expand. Symptoms of the illness include a rash, mild fever, sore throat, nausea, mild conjunctivitis and swollen lymph glands. The WHO says the virus often occurs in children and young adults. Children who are born with congenital rubella syndrome may have hearing or vision problems, heart defects, autism, diabetes and thyroid dysfunction, according to the WHO. Female adults tend to get infected more than male adults — and adults who contract rubella suffer from temporary arthritis and joint pain. Beyond Macau, other recent rubella cases were reported in mainland China and Japan. Concern over vaccines overall was heightened last July, when it was revealed that Changchun Changsheng Biotechnology sold more than 250,000 defective vaccines in China that were supposed to protect children against diphtheria, tetanus and whooping cough. Approximately 95 percent of babies in China are vaccinated against another communicable virus, the measles. Rubella is believed to be eliminated in the US, but measles was thought to be eliminated in the US as of 2000. But so far this year, 555 people in the US were infected by the measles. Mumps is also coming back, with 151 US infections in the first two months of 2019. The vaccination debate continues in the US, with many parents skeptical of the government’s recommendations. The Centers for Disease Control (CDC) said more than 1 percent of US newborn babies did not receive any of the recommended vaccines in 2015. Parents of these children often say the decision to or not to vaccinate is a personal choice, with some having religious objections. Families also refuse to vaccinate children because they believe it can cause autism — a claim rejected by the CDC. Other studies done in the United Kingdom, Japan, California and Atlanta found no correlation between autism rates and vaccinations. Yet, words of caution — that healthcare professionals were too quick to dismiss the possible link between autism and vaccines in some children — came from Dr. Bernadine Healy, a one-time director of the National Institutes of Health, in a 2008 interview with CBS News.